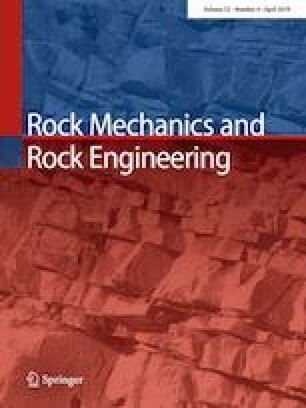 Rigorous design of flexible rockfall protection systems requires an adequate understanding of the system performance. In recent decades, finite element simulations have complemented experimental testing for economical and practical reasons. However, complex modelling techniques are required to capture the dynamic response of such systems, which leads to considerable computational costs. This paper presents a new approach called “hybrid method” to improve the computational efficiency of FE models with minimum effects on the results accuracy. The method is based on the idea to model the exact architecture of the wire net in the vicinity of impact (zone undergoing plastic deformation and failure) and to model the mesh with less computationally expensive elements far from the impact (zones undergoing elastic deformation). To this aim, a three-dimensional model of chain-link mesh was developed using commercial finite element code ABAQUS. The real architecture of the wires is modelled and discretised using three-dimensional beam elements. Homogenised shell surfaces are used to model the chain-link away from the impact zone. The model was calibrated and validated against published experimental data. The results prove that the proposed hybrid method leads to considerable reduction in computational costs of the finite element analysis while producing accurate results.